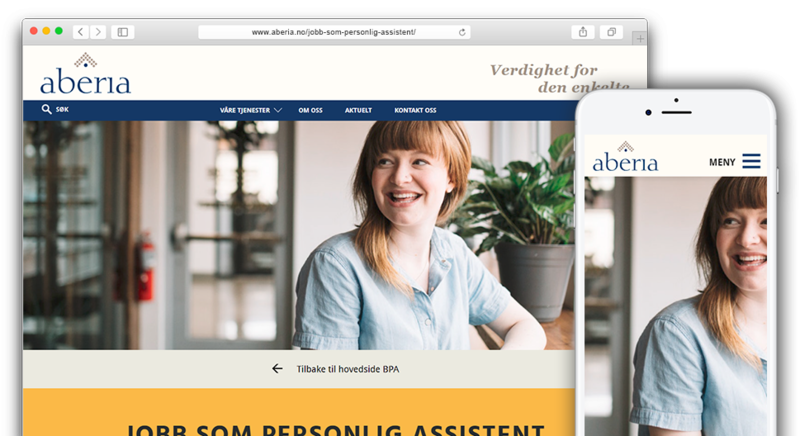 Aberia offers health, welfare and care services on behalf of the public sector, and our services are performed primarily in Norway and Sweden. They have good results through our work, and there are many reasons for that. They have a wise and experienced leadership, the right skills and good systems. This helps us to always think about quality in everything we do. The company has agreements with the public and provides services covered by the Act on Child Welfare and the Municipal Health and Care Services Act, etc. (Health and Care Services Act).